Even if the contents were approved by the MCMC, the certification number was not being telecast along with the advertisement. This order comes a week after the AIADMK approached the Election Commission of India with a complaint against the DMK’s advertisement for violating the poll code. Chennai: The Election Commission has directed the media not to telecast AIADMK campaign videos that are critical of the DMK, and "unverified allegations" on the grounds of violating the Model Code of Conduct (MCC). 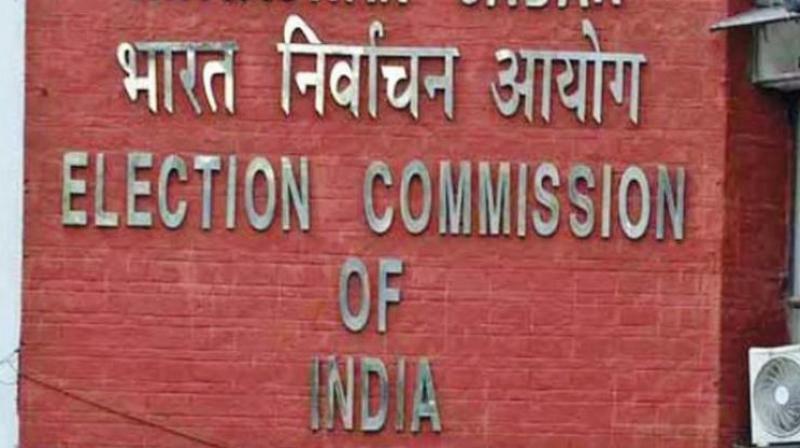 In a letter addressed to all media organisations, including print and TV channels, Chief Electoral Officer Satyabrata Sahoo said that it has been brought to the EC’s notice that political parties were telecasting their publicity material in electronic and social media without prior approval of the State level Media Certification and Monitoring Committee (MCMC). Even if the contents were approved by the MCMC, the certification number was not being telecast along with the advertisement. “In this regard, I am to state that in the election campaign video of AIADMK party related to Oru Kudumba Aatchi (One Family Rule) is being telecast in electronic and social media so as to influence the voters, based on unverified allegations or distortions,” it said. The legal wing secretary of the DMK has written to him regarding the AIADMK telecasting advertisements that make references to DMK on corruption. This order comes a week after the AIADMK approached the Election Commission of India with a complaint against the DMK’s advertisement for violating the poll code. In its complaint, the AIADMK said that the DMK, through its advertisements, was making baseless allegations against it in relation to the Sterlite incident that took place in May 2018. Also, the CEO restrained the media from telecasting the election campaign video of TNCC related to farmers as it meant to "influence voters." "The dead bodies or gory violent scenes should not be shown and this office has already raised objections not to telecast such scenes,” he said.